Our third release for popular e-commerce component VirtueMart. 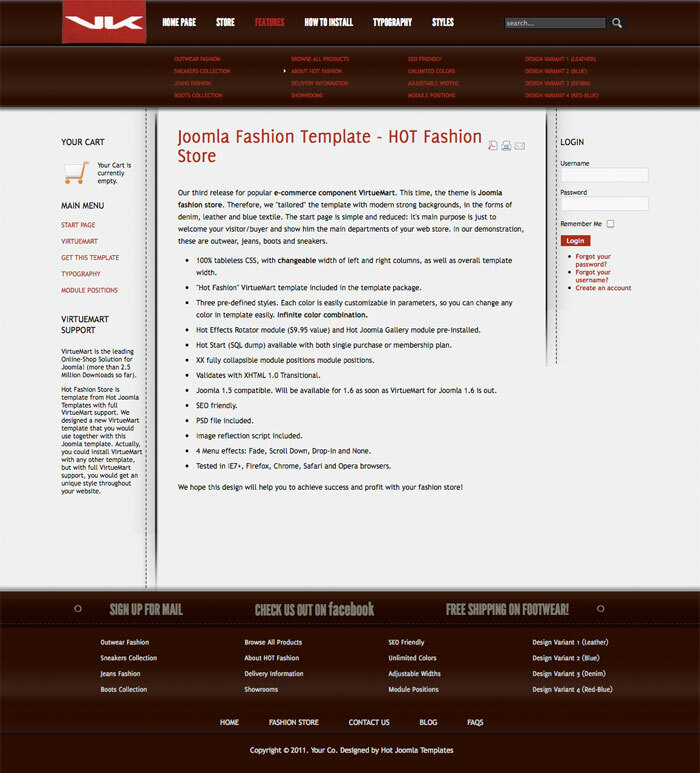 This time, the theme is Joomla fashion template. Therefore, we "tailored" the template with modern strong backgrounds, in the forms of denim, leather and blue textile. The start page powered by responsive Hot Effects Rotator module is simple and reduced: it's main purpose is just to welcome your visitor/buyer and show him the main departments of your web store. In our demonstration, these are outwear, jeans, boots and sneakers. We hope this design will help you to achieve success and profit with your fashion store! The latest version of Joomla fashion template is updated on December 2014. It supports the latest VirtueMart version for Joomla 3. This version is also responsive, so your site will look good and optimized on all mobile devices, if you are using the latest version. The code in the latest version is optimized and updated with the modern web design standards. 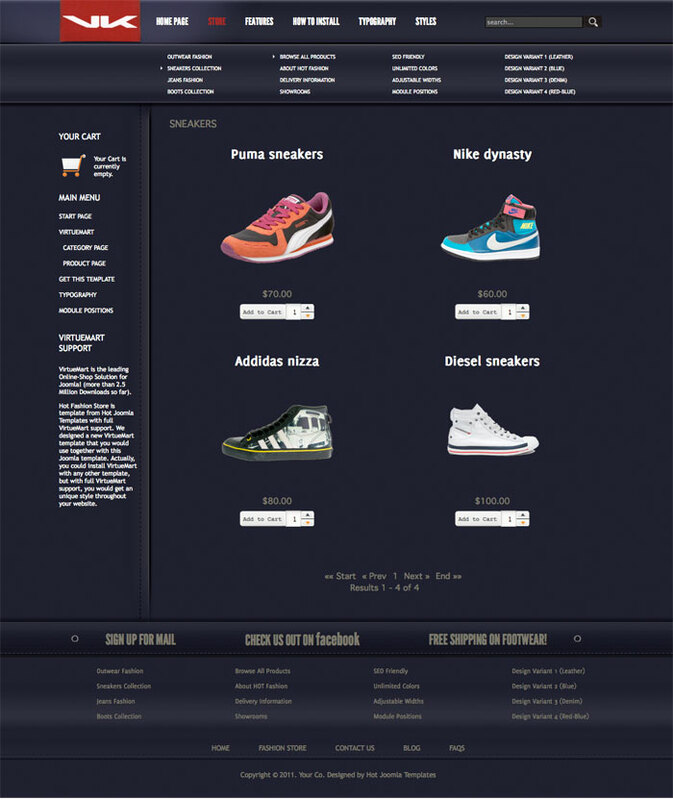 100% responsive HTML5/CSS3 code with parametrized width of left and right columns, as well as overall template width. VirtueMart template files are included in Joomla fashion template package. Four pre-defined styles. 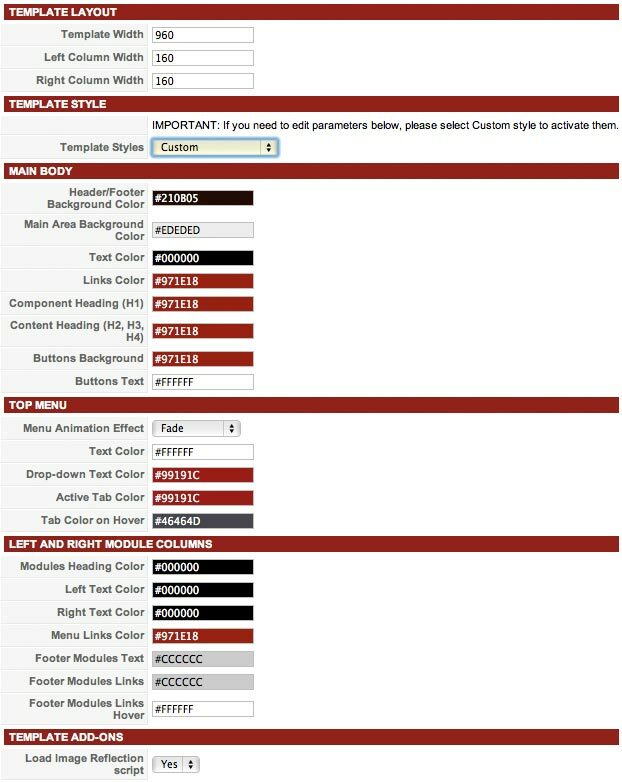 Each color is easily customizable in parameters, so you can change any color in template easily. Infinite color combination. HotStart (SQL dump) available with both single purchase or membership plan. It helps you to install template with demo data easily. 19 fully collapsible module positions. Image reflection script is incorporated into the template code.